A sleek sense for design, a beautiful old town, innovative modern architecture, a great nightlife and even beaches: Copenhagen if one of the beauties of the North and one of the oldest royal cities of Europe that should absolutely be discovered! It is very easy to find cheap flights to Copenhagen with a variety of options from most regional Uk departure points on both scheduled and low cost carriers so book your cheap flight now and experience an interesting mix between Scandinavian and European styles that will intrigue you! Indeed, the title as "most livable city 2013" was well-earned. The name Copenhagen comes from Køpmannæhafn and means "merchant's harbor". In fact, Denmark's capital used to be so successful that it was attacked by the German Hanseatic League several times. Being the political and economic center of Denmark-Norway for several centuries and the seat of the royal family, most of the notable buildings come from this time period. Start your city tour with a view from the Rundetårn, one of the most iconic buildings. Also, absolutely take a stroll through the city center and pay a visit to the Church of Our Saviour, Rosenborg Castle, Paleis Christiansborg, Frederiks Kirke and Grundtvigs Kirke. Those buildings are all known for their splendor and marvelous architecture - so take some time and enjoy the beautiful details! At noon each day, the Changing of the Guards ceremony takes place at Aamalienborg Palace. A visit to Copenhagen isn't complete without strolling through Nyhavn. It cannot get any more Danish! Sit down in one of the restaurants and have a traditional smorrebrod. This is a dark rye bread with salmon and either prawns or remoulade. 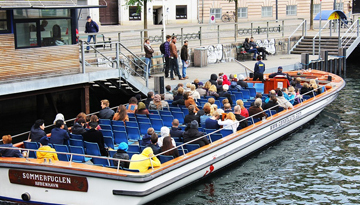 Round off your trip with a boat tour through the city canals. Absolute must-sees in Copenhagen are its Botanical Gardens and at least some of its luscious parks. If you also want to try some of the greatest bars and clubs, check out the Mikkeller Bar, Ruby or Papiroeen. Trying some Danish beers and liquors should equally be on your bucket list! Best visit Copenhagen between May and late August. If you head there between early June and late August, you may even be able to enjoy a swim at Havnebadet on Amager or at Copencabana on Vesterbro. Getting around in Copenhagen is easy. The extensive S-train, metro and bus service ensure that you quickly get anywhere you like. You can also walk, bike or get to many places via the canal boat tour. If you want to do something truly special, cross the Oresund Bridge from Copenhagen to Malmö, Norway, by car or train. It is spectacular! Expedia offers a Flights to Copenhagen with Easyjet in Economy Light fares from £54 return including taxes. 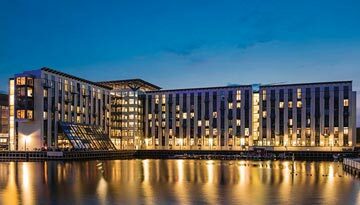 Copenhagen Island Hotel offers 4 star 1 night room stay at £105 & save up to 30%. 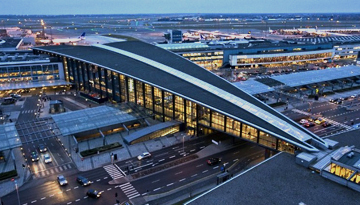 Fly from London Gatwick - Copenhagen & Stay for 6 nights with 4 star accommodation. Room only.